Modernity was critically important to the formation and evolution of landscape architecture, yet its histories in the discipline are still being written. This book looks closely at the work and influences of some of the least studied figures of the era: established and less well-known female landscape architects who pursued modernist ideals in their designs. 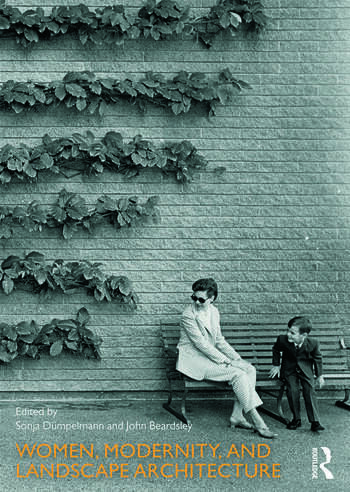 The women discussed in this volume belong to the pioneering first two generations of professional landscape architects and were outstanding in the field. They not only developed notable practices but some also became leaders in landscape architectural education as the first professors in the discipline, or prolific lecturers and authors. As early professionals who navigated the world of a male-dominated intellectual and menial work force they were exponents of modernity. In addition, many personalities discussed in this volume were either figures of transition between tradition and modernism (like Silvia Crowe, Maria Teresa Parpagliolo), or they fully embraced and furthered the modernist agenda (like Rosa Kliass, Cornelia Oberlander). The chapters offer new perspectives and contribute to the development of a more balanced and integrated landscape architectural historiography of the twentieth century. Contributions come from practitioners and academics who discuss women based in USA, Canada, Brazil, New Zealand, South Africa, the former USSR, Sweden, Britain, Germany, Austria, France and Italy. Ideal reading for those studying landscape history, women’s studies and cultural geography. Sonja Dümpelmann is Associate Professor of Landscape Architecture, Harvard University. John Beardsley is Director of Garden and Landscape Studies, Dumbarton Oaks, Washington, D.C.